Trúbrot were born when members of Hljómar (Owens, Júliusson and Þórðarson) and Flowers (Sighvatsson and Hákonarson) decided to form a 'super group' in 1969. Their first album appeared the same year - a collection of late sixties pop songs (male and female vocals) with orchestral arrangements (on some tracks) and a kind of Bacharach-like aura (due to the frequent use of jazz chords). They did Icelandic versions of José Feliciano's "Rain", Lennon-McCartney's "I'll Be Back" and Holland-Dozier-Holland's "My World Is Empty Without You". More ambitious is their pop version of an extract from Richard Wagner's opera "Tannhäuser" and their own tongue-in-cheek pop opera "Afgangar" (9:00). The album was recorded in Trident Studios, London. It was strongly influenced by British pop music. Perhaps the tracks with a hint of hippie folk with vocal harmonies, acoustic guitar, flute and percussion are the most memorable. It is not a bad album within its field. Undir Áhrifum (1970) was recorded in Denmark by a revamped version of Trúbrot. All the material was written by the group this time, but mostly with English lyrics. Among the 8 songs were some fantastic imitations of Crosby, Stills, Nash & Young ("In The Country" and "Everything's Allright"). Slightly more progressive tendencies were detectable on the great closing track "Stjörnuryk" (7.28). 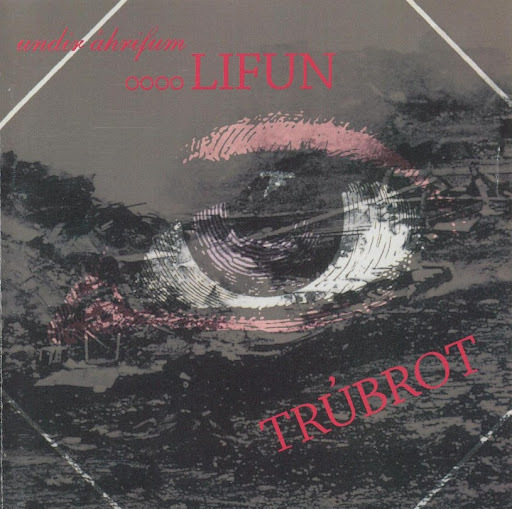 ...Lifun (1971) was their pop opera with interconnected tracks displaying influences from The Move, Led Zeppelin and Keith Emerson (but also still Beatles and CSN&Y). The album came in a hexagonal cover and was their most accomplished work, recorded with Gerry Boys in London. Mandala (1972) was a simpler work and a return to basic, well-crafted pop songs.